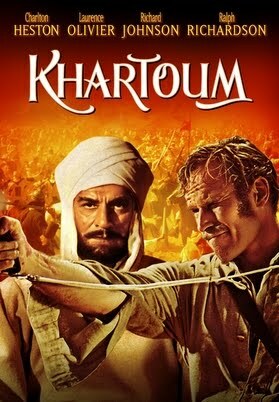 "Khartoum" (1966) is number 2 on my list of "going native" movies. During the Mahdist War (1881-1899) in Sudan, a British lead Egyptian army gets destroyed by the troops of the "Mahdi", a Muslim religious leader. The British Government is reluctant to get involved in a military adventure in Sudan but have commitments to the Egyptian citizens living in Khartoum. They send General "Chinese" Gordon, who had a hero status due to his fight against the slave trade, to arrange the evacuation of the Egyptian citizens. Arriving in Khartoum, Gordon evacuates most Egyptian citizens but refuses to leave himself hoping that this will force the British Government to commit troops to save the besieged city against the Mahdis troops. A really fantastic movie, I always had a weakness for movies taking place in that time and place.